The National Noh Theatre (国立能楽堂) opened in Sendagaya, Shibuya, Tokyo, Japan in September 1983. The auditorium seats 591 for performances of Noh and Kyōgen, and there is also a rehearsal stage, exhibition area, lecture room, and reference library. Noh (能 Nō), or Nogaku (能楽 Nōgaku)—derived from the Sino-Japanese word for "skill" or "talent"—is a major form of classical Japanese musical drama that has been performed since the 14th century. Developed by Kan'ami and his son Zeami, it is the oldest major theatre art still regularly performed today. 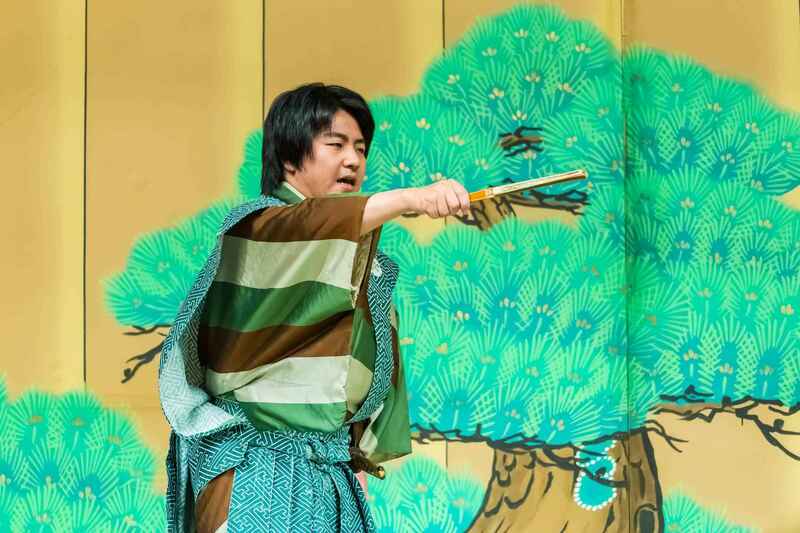 Traditionally, a Noh program includes five Noh plays with comedic kyōgen plays in between; an abbreviated program of two Noh plays and one kyōgen piece has become common in Noh presentations today. An okina (翁) play may be presented in the very beginning especially during New Years, holidays, and other special occasions. Noh is often based on tales from traditional literature with a supernatural being transformed into human form as a hero narrating a story. Noh integrates masks, costumes and various props in a dance-based performance, requiring highly trained actors and musicians. 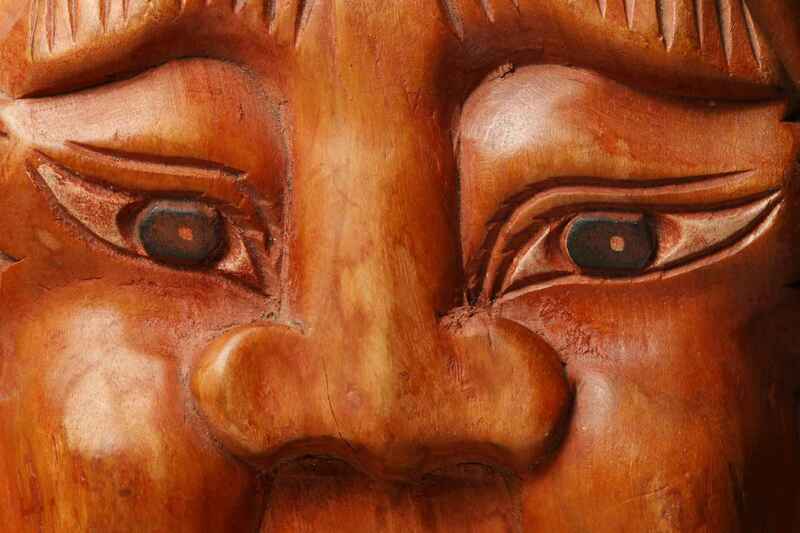 Emotions are primarily conveyed by stylized conventional gestures while the iconic masks represent the roles such as ghosts, women, children, and old people. Written in ancient Japanese language, the text "vividly describes the ordinary people of the twelfth to sixteenth centuries". Having a strong emphasis on tradition rather than innovation, Noh is extremely codified and regulated by the iemoto system. 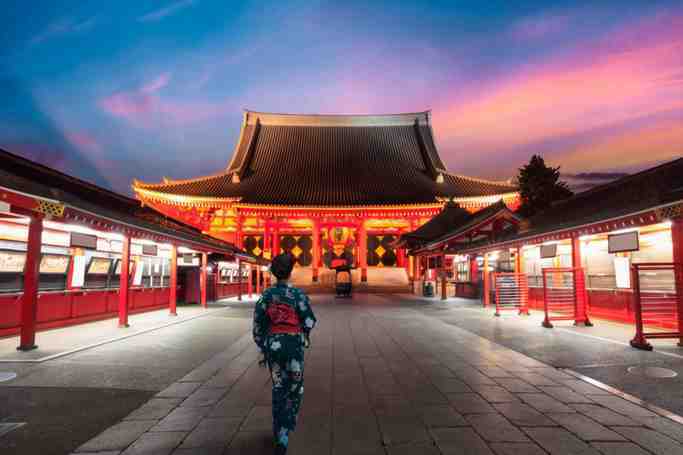 National Noh Theatre | eTips Inc.